We routinely lambaste liberals for manufacturing false scandals, rumors, and scuttlebutt about Gov. Palin. Liberals do not hold the monopoly on this type of activity, as evidenced by the vitriol spewed by some whose favored candidates did not receive an endorsement from Gov. Palin over the past few weeks. Entering from stage right in this cast of characters is none other than Alice Massie, president of the Alaska Federation of Republican Women. 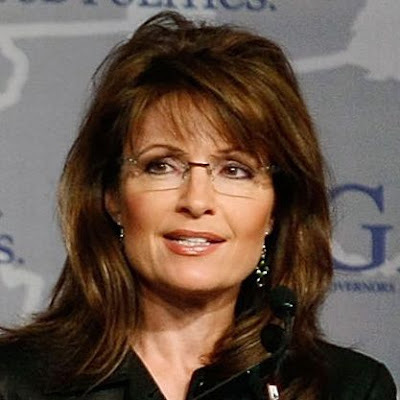 “Despite what people from ‘outside’ say, Palin is no conservative. Massie notes that as governor, Palin worked with Democratic legislators to pass an oil company tax that her fellow Republicans opposed. And despite the Tea Party movement’s infatuation with Palin, Massie disputes her reputation as a budget hawk, noting that as mayor she plunged Wasilla into debt” (Stone, 2010, ¶31). What Stone does not reveal is that Massie has a grudge against Gov Palin that dates back to when she was Mayor Palin. In 2002, Alice and Dallas Massie protested a proposed snow machine trail that was to have passed by their hair salon (Christiansen, 2002, ¶11). The Park Ave. Trail was conceived to keep snow machines off the city streets, while allowing people to take them from garage to trail without first loading them on a trailer (Christiansen, 2002, ¶9-10). The alternative was a ban (Christiansen, 2002, ¶10). Any Alaskan, especially any reporter covering that beat would know that Andrew Halcro and Massie are not sources of objective information on Gov. Palin. Halcro, who receives a significant amount of coverage in Stone’s article is one of Gov. Palin’s chief critics, a professional blogger, and failed gubernatorial candidate turned congressional candidate. Further, Stone attended a Mat-Su Republican Women’s Club meeting to build this “story.” None other than Alice Massie was president of this club for years. In 2009, a new club was chartered in the Mat-Su Valley that promotes all Republican women, especially their hometown governor: Valley Republican Women’s Club. “Our Republican women are committed to strengthening our Republican Party, empowering Republican women and creating a better future for our children and grandchildren” (About AK Federation, n.d., ¶3). Massie’s job is to be an objective voice for all Republican women in her state. Every state has an organization for Republican Women, and these organizations collaborate on a national level to promote their members: Republican women. How is Alaska supposed to promote the most popular and respected, and homegrown Republican woman when Massie and the party establishment make a patently partisan attempt to diminish her many accomplishments? Governor Palin has a history of fighting this partisan nonsense. Every Republican Women’s Club in the state (of which there are nine) is supportive of Gov. Palin. Many members of the aforementioned Mat-Su club support Gov Palin, but that club’s reputation got tarnished, under Massie’s reign of petty personal politicking. Massie forgets a few minor details: Gov. Palin stands tall and executes that which she speaks. She does not retreat. She reloads. For sane people, this should be a no brainer , but we are talking Obama and his communist thugs. They are determined to destroy this country one way or the other. What better way than to run up a debt so large that it can never be paid? But there are other more serious issues people need to think about. As we get further in debt, we lose our influence in the world. It used to be that much of the world made policy based on how the United States would feel about it, how we would react. That is quickly going by the wayside. Now I know the radical left hate America and love the fact that America won’t be “bullying” the rest of the world. But as an American, I like the idea that other nations respect, and yes, even fear us. That keeps everything fair. Keeps us from being screwed over. Keeps us relatively safe and secure! Back in the real world, as the greatest nation on earth, we are the target of a lot of hate, just because we are the best. Thus, we need adequate defense. The radical left, headed by Obama, will absolutely hinder our ability to defend ourselves, with his incredible debt. It also means, at some point, we’ll have so much debt that taxes will have to be raised, thus hurting the economy even more. We are already reaching a point where just the interest on our debt is more than our entire national defense budget! Think about THAT for a minute!! The bad thing is Obama and his people absolutely hate capitalism, and hate business. They have already made the U.S. a hostile environment for business. Their insane plans will only send more companies overseas to countries that have more favorable business environments. Of course, the biggest casualty in all of this would be personal liberty and freedom. The government, though higher taxes, and insane Obama programs, will control more and more of our lives. Our money won’t go as far, severely effecting our quality of life. That’s what communism is, shared misery. The White House recently announced its pricey Childhood Obesity Initiative to tell us what we should feed our kids. Helpful I’m sure – but most Americans would rather see government focus on other important areas right now. We know what our kids should eat: more healthy food, less junk food. There – we just saved Washington a ton of money by announcing that finding on personal responsibility. Getting our arms around this will take all of us working together, making sacrifices, taking more personal responsibility, and sending elected leaders to Washington that we can trust. That’s why some of us may come across as strident in our efforts to call out the White House and Congress. We want to trust you, Washington; we want to work with you, but we cannot stomach some of the things being rammed down our throats. Your actions to pile on more debt make no sense, so we must question your motives and intentions. For instance, there’s just no room for expensive, dangerous, and unsustainable new initiatives like Obamacare, Cap and Tax, and a dramatically expanded federal payroll. These government-growing proposals will obviously cause more problems than they’ll solve. They are just further steps towards insolvency. Steps towards insolvency are steps away from freedom. They’re steps towards destruction. It’s the reason we ask why we should swallow what’s coming out of Washington. In the 21st-century world order, the classic, narrow definition of national-security threats already has expanded in ways that make traditional foreign-policy thinking antiquated. The list of American security concerns now includes dependence on foreign oil and global warming, for example. • They make America vulnerable to foreign pressures. The U.S. has about $7.5 trillion in accumulated debt held by the public, about half of that in the hands of investors abroad. Aside from the fact that each American next year will chip in more than $800 just to pay interest on this debt, that situation means America’s government is dependent on the largesse of foreign creditors and subject to the whims of international financial markets. A foreign government, through the actions of its central bank, could put pressure on the U.S. in a way its military never could. Even under a more benign scenario, a debt-ridden U.S. is vulnerable to a run on the American dollar that begins abroad. • Chinese power is growing as a result. A lot of the deficit is being financed by China, which is selling the U.S. many billions of dollars of manufactured goods, then lending the accumulated dollars back to the U.S. The IOUs are stacking up in Beijing. So far this has been a mutually beneficial arrangement, but it is slowly increasing Chinese leverage over American consumers and the American government. At some point, the U.S. may have to bend its policies before either an implicit or explicit Chinese threat to stop the merry-go-round. Just this weekend, for example, the U.S. angered China by agreeing to sell Taiwan $6.4 billion in arms. At some point, will the U.S. face economic servitude to China that would make such a policy decision impossible? Please read the rest of Seib’s column here. Our out-of-control spending is weakening our country. We can no longer afford to kick the can down the road to the next generation. We need to have a serious discussion about our spending priorities before it’s too late. Commonsense conservatives have a sincere desire to work with the White House on these challenges, and we’re thankful for those in Congress making the offer to help. This is a real crisis, not the phony baloney, plastic banana, good time rock and roll kind of crisis the radical left likes to make up to force people to do their bidding. You know, things like the “health care crisis” so they can seize control of much of our economy, and “global warming” the Greatest Lie Ever Told © so they can seize control of everything else! Nope, our out of control spending, without any regard to the dangers, is a crisis that will destroy our nation, the greatest nation ever to exist on earth. Mankind’s last best hope. 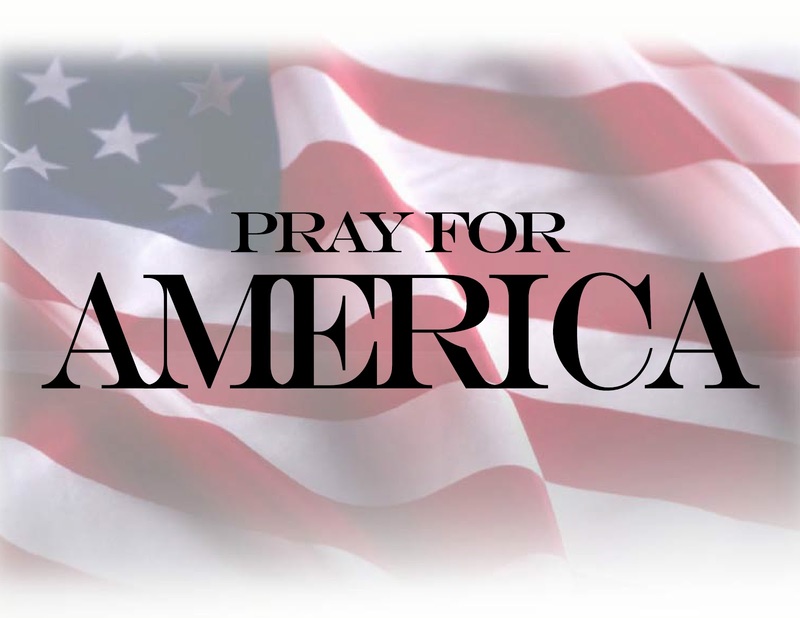 Never forget that the demise of America will be the demise of liberty and freedom for all of mankind. Something that suits progressives, like Barack Obama and his kind, just fine. The former Alaska governor and 2008 Republican vice presidential candidate had her political organization spend more than $63,000 on what her reports describe as "books for fundraising donor fulfillment." The payments went to Harper Collins, her publisher, and in some instances to HSP Direct, a Virginia-based direct mail fundraising firm that serves a number of well-known conservative politicians and pundits. Why is this news? Every politician who has a book and a PAC does the very same thing. It is a smart fundraising technique. Ministries and other organizations do this. It would be stupid not to do if you have such a tool at your disposal. 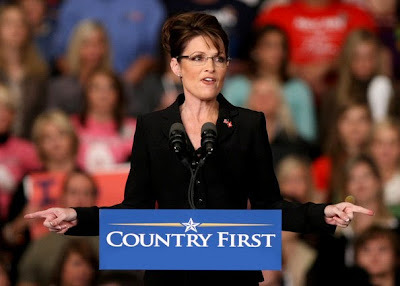 It was obviously successful since SarahPAC raised $2.1 million in 2009 with $1.4 million in the last reporting period. As far as the cost, HarperCollins doesn’t give those books away; somebody has to pay for them. So I just find it curious that this was considered newsworthy. Oh and WOW, I am impressed, “Going Rogue” got close to 5000 people to donate $100 to the RGA? that’s a whopping $500,000 for a book that is available for $13.50. Not bad for a two week gig. …Joe Lieberman did the same thing in 2004, when he was a Senator and preparing for a re-election bid. He didn’t take royalties off of those sales, but ABC also acknowledges that they don’t know if Palin did, either. And since she’s a private citizen, it really doesn’t matter if she did or didn’t. The big news here is that Palin’s PAC had at least 4600 donors in the fourth quarter who gave enough money to warrant the incentive gift. Otherwise, this is a big nothingburger. A whole lot of nothing, now how about focusing on something more newsworthy like Florida students ditching P.E., oh… wait. Shane Vander Hart is the editor of Caffeinated Thoughts. He loves to connect with fellow Rogues so feel free to follow him on Twitter or friend him on Facebook.